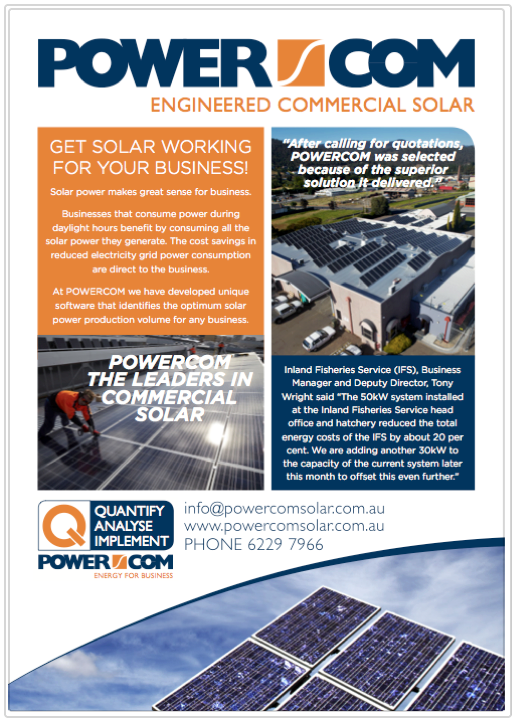 Powercom are the commercial, industrial and remote solar experts. 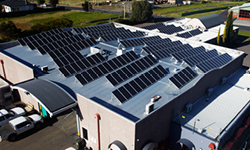 We are the leaders in engineered solar solutions and commercial scale projects which includes the largest solar installation in Tasmania to date (317kw). Solar for business makes great economic sense as you consume most if not all the power that you produce rapidly decreasing the return on investment timeframe. Powercom’s expertise extends to the complex Off Grid and Hybrid systems installed in some of the remotest places on earth. Off-Grid solar is also an excellent way to make the most of your solar infrastructure and offset ever increasing diesel fuel costs. Take advantage of our commercial and industrial expertise and experience and get SOLAR working for your organisation today. We are large scale commercial solar experts. 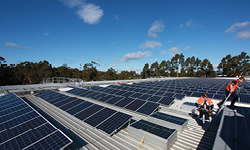 We have designed and installed the largest (300kw) solar system in Tasmania. 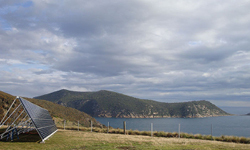 Our engineered solar installation on Deal Island in the middle of Bass Strait demonstrates our high level solar engineering and project management.